As you know, or as I love to rant about, I’m a lover of all things organic and natural. I just like to know exactly what I’m putting on my skin and love that you can get all the benefits that the expensive brands offer you by using ingredients you can find in your kitchen cupboards! 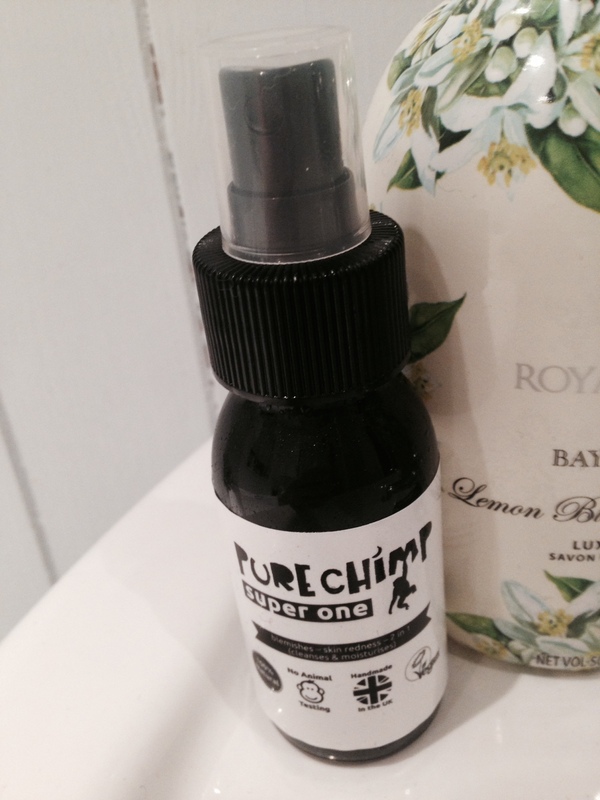 When Pure Chimp gave me the opportunity to review one of their 100% natural products I couldn’t say no! Their products range includes skincare and super foods and seen as I’m pregnant I thought I could do with a bit of extra attention on my skin. 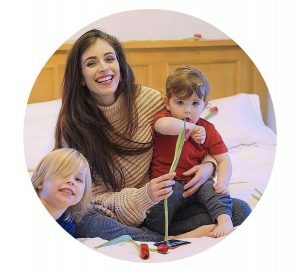 Plus I wasn’t sure about whether the ingredients in the super foods would be suitable for bump so I’ll wait until he’s born to give those a go! It’s a 2 in 1 cleanser and moisturiser which is fragrance free with no nasty chemicals or additives! The cleanser is advertised to reduce inflammation and hydrate your skin and as someone who’s face often becomes red and uneven this sounded fab to me! 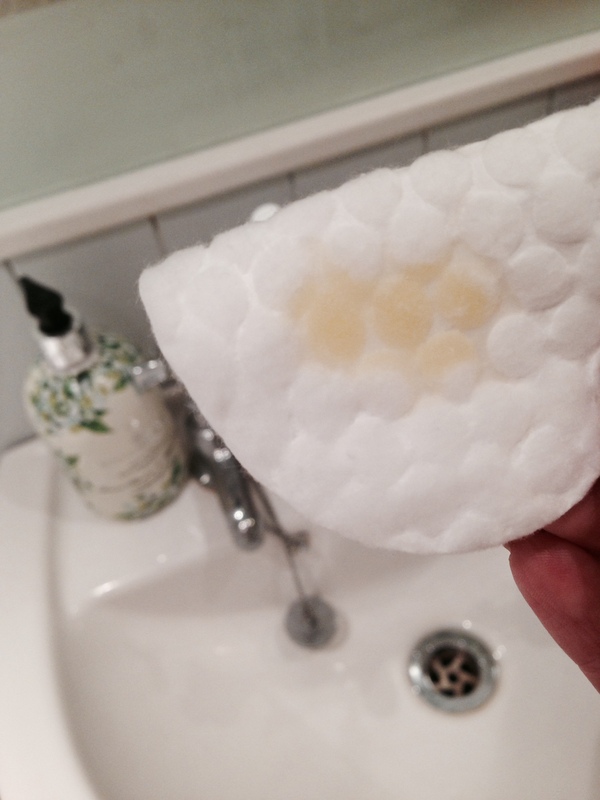 I used the product for the first time after having a bath so that my pores were open. I hadn’t worn makeup that day so I didn’t need to remove anything and went straight into using the ‘Super One’. The mixture has quite an oily texture and colour as you can see in the picture below. I don’t usually like it when a product feels oily on my skin but once I rubbed it in the oiliness went away and left a really soft feeling. I only needed to use a little bit as it gave quite a good coverage to my face. This is great as it means that it should last a while! I had quite a glow after rubbing it all in and I’ve continued to use it daily which has kept my skin feeling lovely and soft. I haven’t noticed a dramatic effect, but then where I use natural ingredients on my face anyway, I didn’t have too many skin concerns. Overall the product is lovely to use. It even came with some handy ‘top tips’ on the bottle for great looking, healthy skin! 1. Drink plenty of water every day. If your wee is yellow, you need more water. 3. Be sure to get your 5 a day. 4. Enjoy a Matcha Green Tea super shot every day. 5. Cleanse & moisturise 1-2 times a day. I’d recommend this product to anyone who is conscious about using organic and natural products on their skin. It’s great to know that the products are made with no nasty additives or preservatives!